Camber Pharmaceuticals, Inc. and Hetero Drugs, Ltd. have been named as defendants in a class action lawsuit filed by a woman from Massachusetts regarding the contaminated valsartan pills. The class action lawsuit, filed by Veronica Longwell, seeks to represent all individuals who have purchased the generic valsartan pills that were found to be contaminated with a known human carcinogen, N-nitrosodimethylamine (NDMA). The cancer-causing impurity only affects generic versions of the blood pressure medication. The brand name, Diovan, has not been found to be contaminated. Longwell’s lawsuit is currently pending in the U.S. District Court for the District of Massachusetts. It was filed on November 11, 2018. It’s common for product liability lawsuits filed with regard to dangerous drugs to allege that the medication in question caused serious or life-threatening complications or death. However, the impact of many carcinogens may not be seen until months or years later. Longwell’s lawsuit does not claim that she suffered medical problems as a result of taking contaminated valsartan. Instead, it alleges financial losses because patients had been informed for years that the generic version of the medication was equivalent to the brand name. Consumers paid a high price for years for a drug that was not only inferior to Diovan, but also contaminated by dangerous impurities, alleges the lawsuit. The problem with valsartan was only uncovered recently. On July 5, 2018, the European Medicines Agency (EMA) issued a press release that notified patients of their safety review of the drug. The EMA noted that it had found traces of the cancer-causing carcinogen, NDMA, in a batch of valsartan. While the EMA was conducting a more intensive review, national organizations across the European Union issued a sweeping recall of the drug. 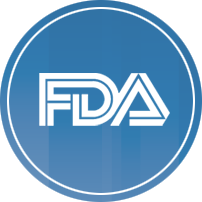 The FDA followed closely on the heels of the EMA, launching its own investigation and issuing a recall announcement on July 13. During the weeks that followed, the recall was expanded multiple times to cover more batches of the generic drug from multiple manufacturers. And in September, the FDA banned all imports of medications and drug ingredients from Zhejiang Huahai Pharmaceuticals (ZHP). ZHP is the Chinese manufacturer whose plant was at the heart of the EMA investigation. Thousands of concerned patients, doctors, and pharmacists have already contacted the FDA’s help line to find out about the nature of the contamination and whether they may be affected. During the coming months, it’s expected that many patients who have been affected may be considering their options for legal recourse. To date, several defective drug lawsuits over valsartan have already been filed, in addition to Veronica Longwell’s lawsuit. Along with potential financial losses from paying for contaminated generic pills, plaintiffs may demand compensation for medical complications allegedly caused by valsartan, such as liver, kidney, pancreas, and stomach cancers.